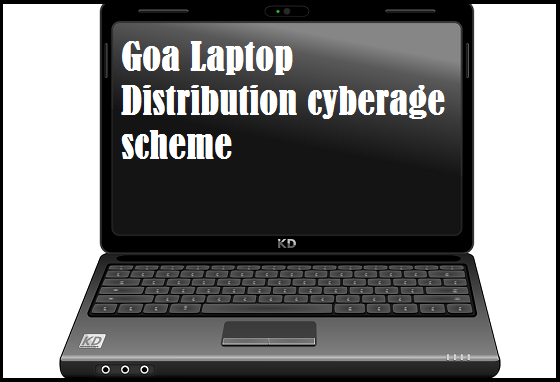 Goa state government has recently distributed laptops under the Cyber Age Scheme. In this scheme the state government will provide laptops to the state students. The reason behind launching such scheme is to encourage students to study and learn use of technology. As we are revolved around digital life these days, Cyber Age Scheme will be a progressive step towards the Digital India Initiative. According to the guidelines the last date for registering under the scheme for the students is 5th Dec 2017. The enrolment for the scheme is still going. Before 4.30pm on 5th Dec this year the applicant must finish the registration process. Aim: Students will now get opportunity to learn more about the world through internet. They will be able to use technology more for their studies and future career. It also promotes Digital India Initiative. Fees: There is a minimal fee that students have to pay to enjoy the benefit of the scheme. For the government aided school students the fee is Rs. 1000/- and for the students who are from government un-aided schools will have to pay Rs. 2000/- to get the laptops. Implementation: Goa Info Tech Corporation will implement the scheme. They will supervise the service and other technical sides of the laptops under this scheme. Budget: According to the reports Rs. 85.50 Cr have been allocated for the scheme by the state government of Goa. Also it has been said that the first 50 laptops will be distributed to the students by the Chief Minister of the state. The laptops will have 14-15” screen, WiFi, Bluetooth, webcam and general ports. It will have 1 year guarantee. Both the software and hardware servicing will be free within a year. Any sort of problems can be registered with the company. Within 48 hours the service will be reached. Firstly the scheme is for the students. As mentioned only students studying in 11th standard will be eligible for the scheme. On the other only government schools (aided & un-aided) will be considered. The students who are applying for the scheme will have to enrol in the class in the current academic year that is in the year 2017-18 to enjoy the benefit of the scheme. Online application is must for every student to register under this scheme. Those who have already applied will not be eligible. Those who want to apply can follow the instruction mentioned below. There are few documents that are needed to be submitted. First of all the completely filled up application form is to be submitted by the students. The parents have to give a concurrence to the head of the higher secondary school. The head will be responsible to scrutinise the details of the student and the concurrence. Apart from these two, the challan copy of the money deposit must be submitted. The heads or dean of the schools will have to submit the copy of students’ detail like which stream he/she is in and which category he/she belongs to etc. The application form for this scheme is available online only. To get the form the applicant has to click on the official website of the education department in Goa http://education.goa.gov.in/index.html. To download the form click on the ‘Order and Circular’ option from the list mentioned on the left side of the ‘Home’ page. In the following page http://education.goa.gov.in/orders_circulars.html the applicant will get the options of aided government school or non-aided schools. They need to choose their school type and click on the proper link. From either of the two links mentioned on the page, the applicant can download the form. The application form is available in the link http://education.goa.gov.in/orders_circulars.html. Students will have to take out the print of the form and fill it up with the correct information. Once the form is filled up properly, the students will need to submit the same along with needful documents to the Dean or Head of their institution/School. The School head will submit the papers to the Directorate of Education, Planning Section, Computer Cell after scrutinising the documents and the forms properly. The Director of Goa Info Tech Corporation has stated that they are ready to distribute 35,000 laptops under this scheme. The first phase has already started as the CM has distributed handful of laptops on Children’s Day. The remaining will take place once new applications will come.